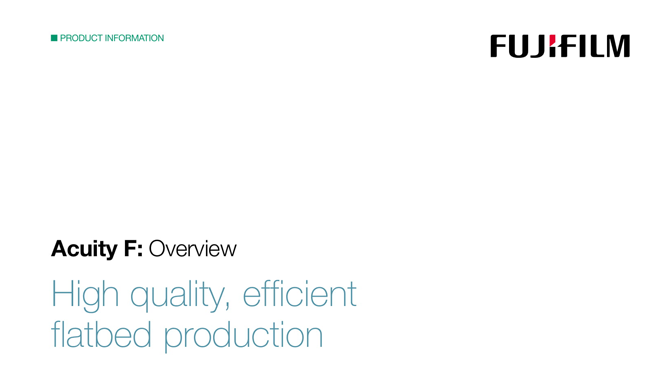 Acuity F is the highest productivity model in the popular Fujifilm Acuity flatbed series. It combines seven years of market leading image quality with the latest engineering expertise and UV ink technology to deliver a state-of-the-art platform capable of a wide range of print applications. 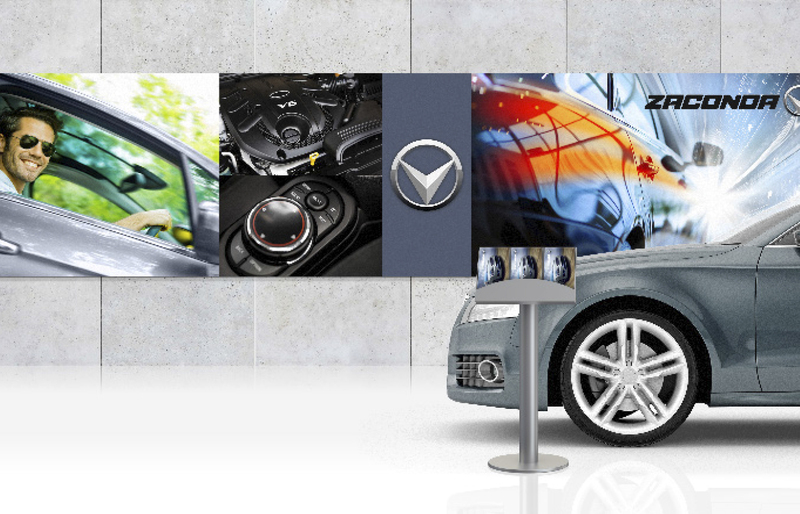 Acuity F is built to deliver high productivity with outstanding image quality, suitable for signage and display graphics printers requiring capacity of at least 30,000m2 a year. Print companies who need a quick turnaround or are producing higher volumes of print, will want to eliminate finishing processes like mounting and laminating. Acuity F is built for high speed rigid print production, with a full-size (2.5 x 3.0m) dedicated flatbed table and powerful vacuum system that holds sheet materials flat and secure. This enables edge-to-edge printing, printing over the same sheet multiple times with perfect registration, accurate double-sided printing, and perfect image geometry. 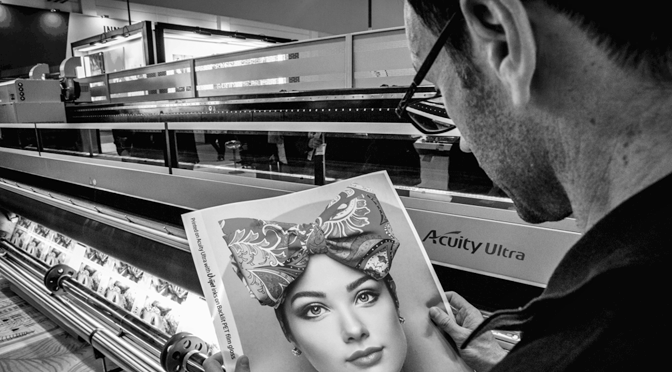 Acuity F produces exceptional image quality at print speeds of up to 155m2/hr, producing consistent, pin-point ink drop placement accuracy across the whole sheet. The print carriage carries 42 greyscale printheads and weighs over 90kgs, so the carriage runs on air bearings over a glass plate surface that enables it to move smoothly and precisely at a constant distance close to the print surface. Acuity F features dynamic drop placement control, which actively compensates for micro-level unevenness across the bed surface. Acuity F allows you to select the right production speed and image quality to produce a range of applications, from close view to display print. Uvijet ink for the Acuity F is designed for high adhesion and high print speed. It cures to a low reflection matt finish with a tough, durable surface which doesn’t need to be laminated. The ink has a wide adhesion range covering most display materials and it is also possible to print on unusual, creative materials like wood. 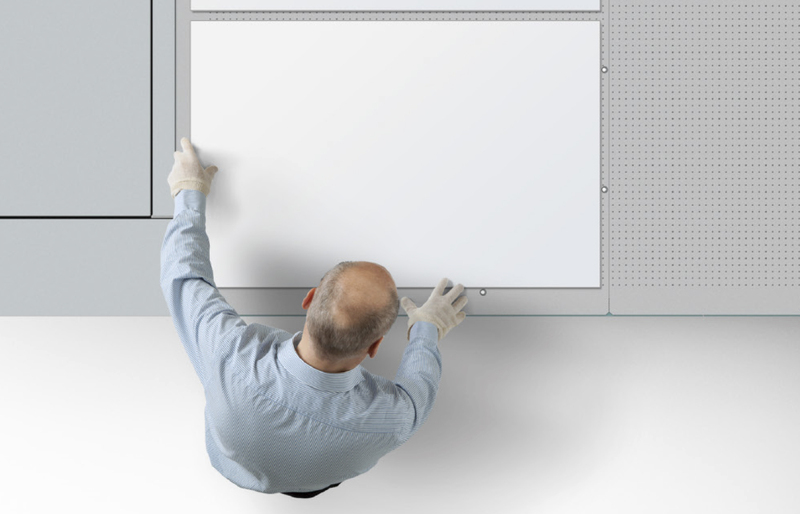 Acuity F has a built in anti-static bar to enable printing of materials like PVC. 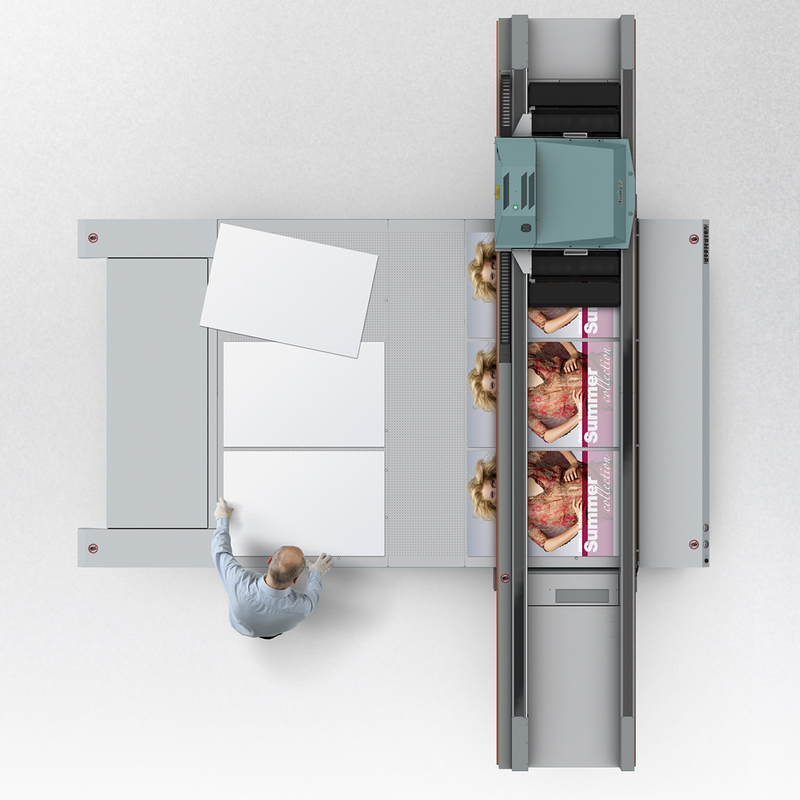 For longer print runs, Acuity F can run in a continuous production mode, with the carriage printing at one end of the table while the operator unloads and loads sheets at the other. Simultaneous printing and media changeover substantially increases productivity. The dedicated flatbed table is a robust surface equipped with a high flow, high pressure vacuum, produced by two powerful pumps. A high initial draw down ensures that slightly irregular sheets are pulled down perfectly flat to the bed surface. Acuity F features an adjustable vacuum strength that provides optimum handling for different sheet materials, including irregular shapes, heavy, smooth or pre-cut sheets. 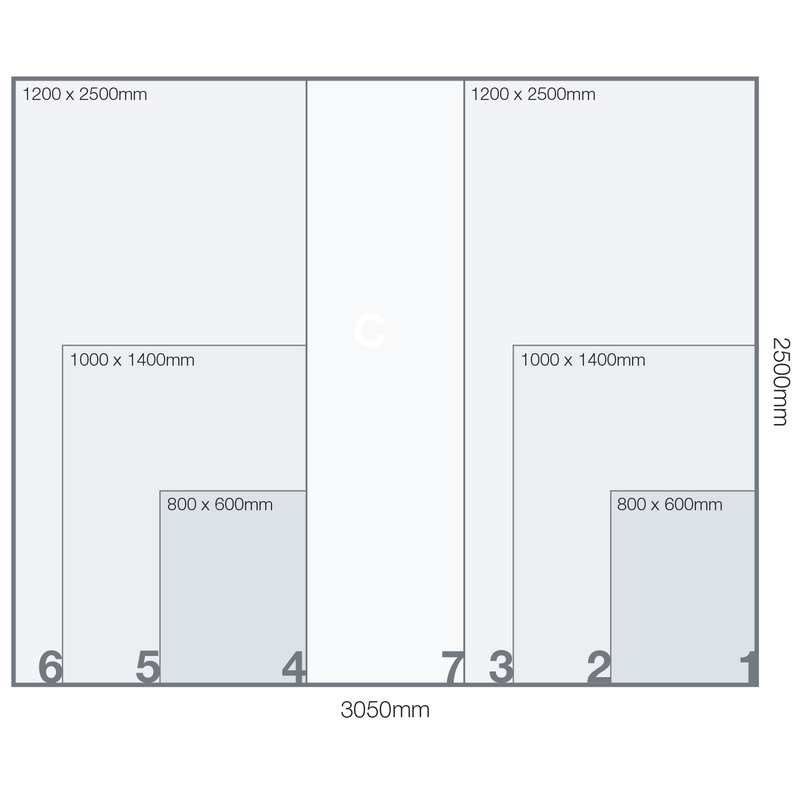 Seven vacuum zones, including one central zone, are tailored to common media sizes to reduce the amount of bed masking required. 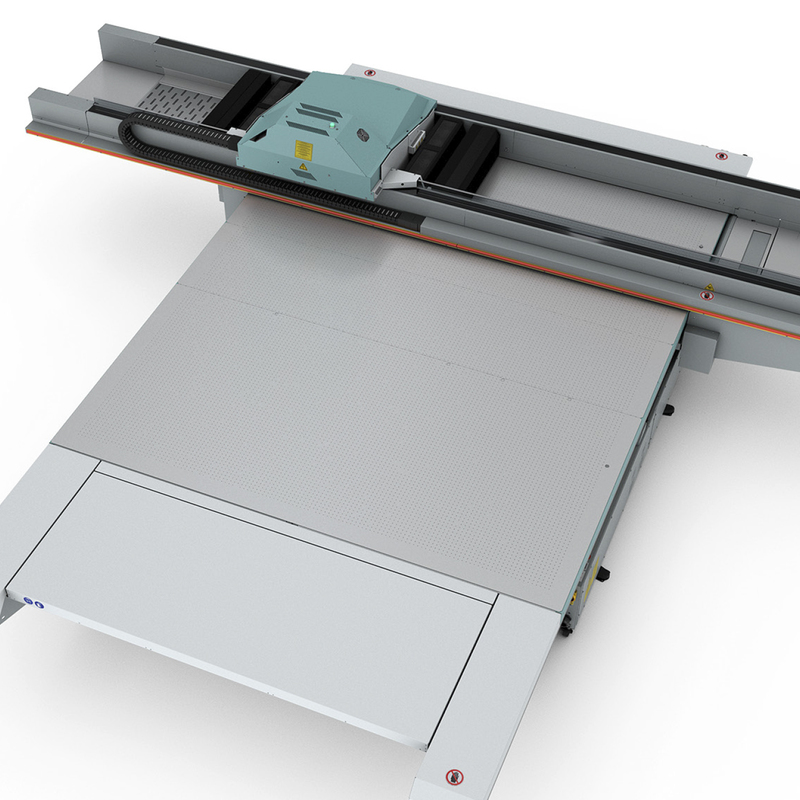 For fast loading and accurate positioning of sheets, Acuity F is equipped with two sets of pneumatic registration pins. Repeatable accurate positioning also makes it possible to print double-sided sheets in perfect registration, or even produce large scale images tiled over multiple boards. Acuity F takes care of the 27,000 inkjet nozzles through its Automatic Maintenance System. This reduces the amount of manual cleaning required and the automatic process is clean and more consistent. A full cleaning cycle takes just three and a half minutes for all colour channels, keeping machine downtime to a minimum. There is also an option to quick clean individual colour channels. Acuity F incorporates a variety of built in features that provide production flexibility even after jobs have been processed by the RIP. 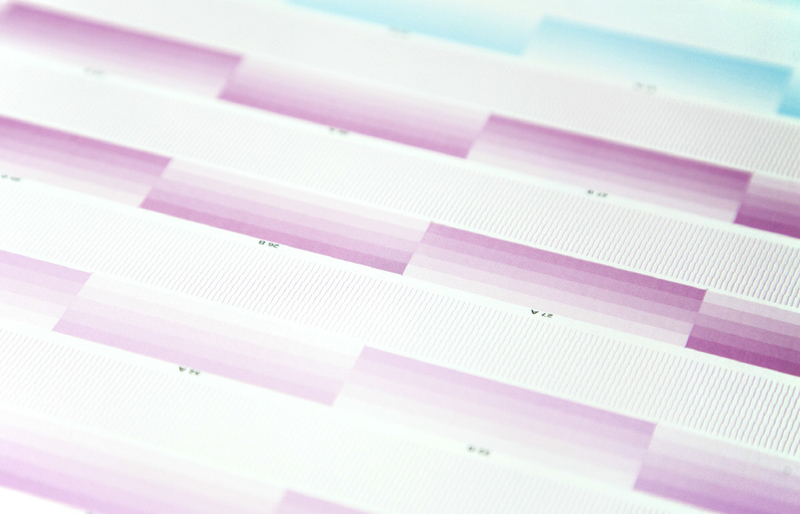 For example a collation printing mode enables long print runs to be produced in an order that is convenient for post finishing or shipping, so prints don’t have to be sorted manually. 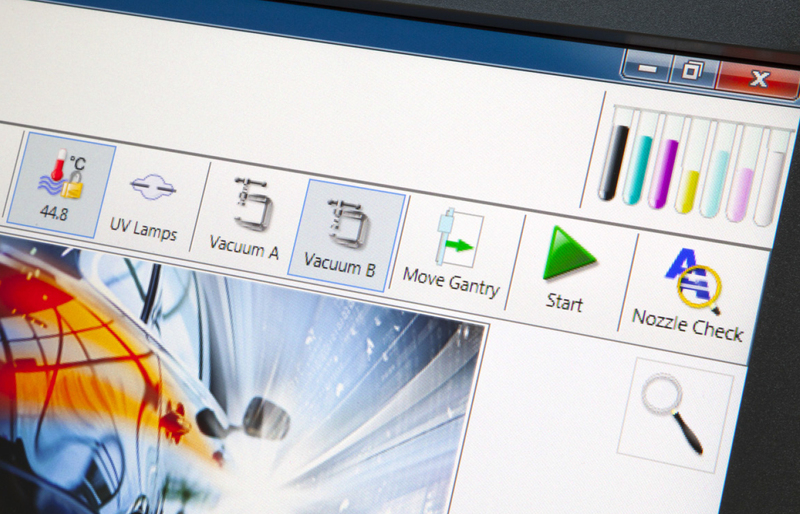 The control station software is optimised for ease of use and guides an operator through job setup step-by-step. Even routine maintenance procedures are guided by the control software. Acuity F is equipped with light magenta and cyan inks as standard, which make it possible to produce consistent, high quality images at high production speeds. Light inks also enhance colour reproduction, producing smooth tonal images like skin tones, vignettes and lighter solid colours. A white ink channel is available on the 7 channel Acuity F model. 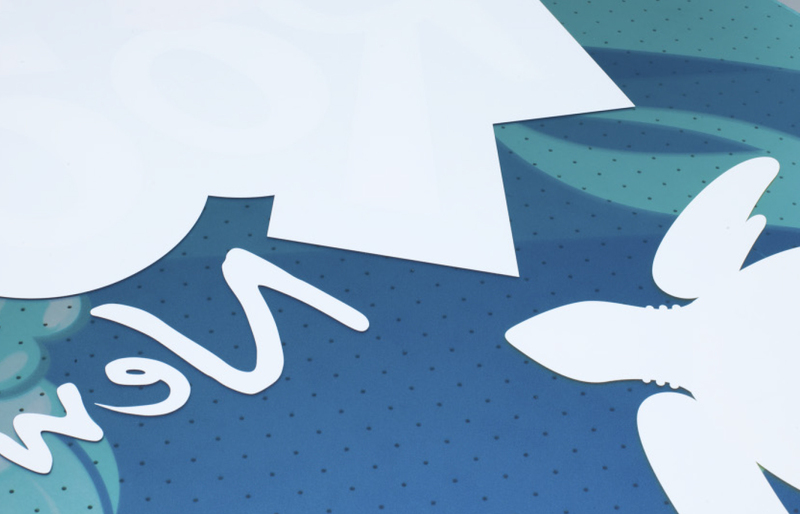 A high opacity white ink makes it possible to print on clear and non-white materials, extending the range of applications that can be produced. 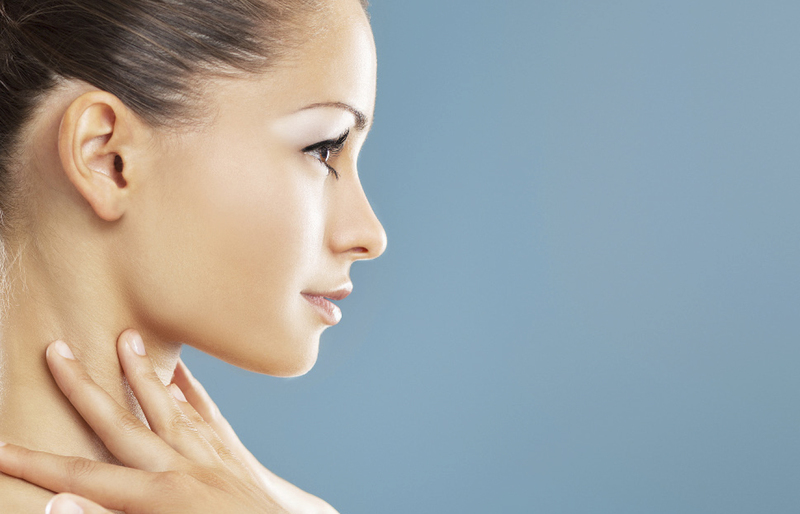 White inks on all Acuity flatbed printers are renowned for their high opacity and whiteness.